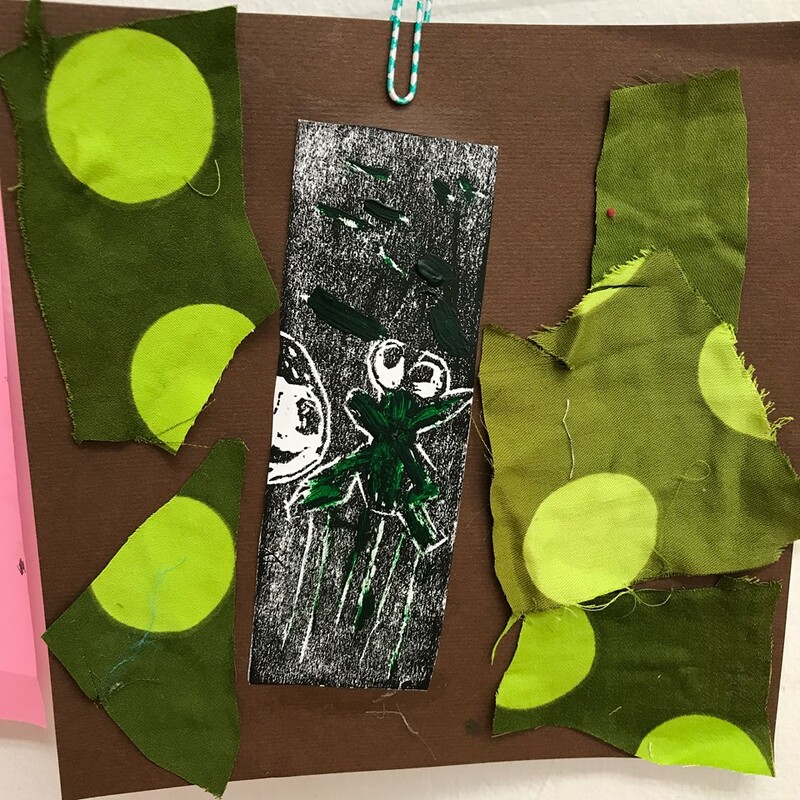 This weekend I returned to Historic Rittenhouse Town for more papermaking workshops with artist and educator Cozy Bendesky. (Last month I took papermaking with seeds, leaves, and flower pedals) Saturday was papermaking with plants, and today was open vats papermaking, which is basically open studio. 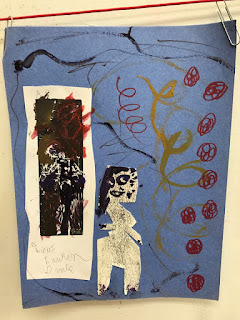 Over the weekend I made 63 sheets of paper out of cotton, thistle, cattails, day lilies, and recycled bluejeans. This includes 20 sheets to use in an upcoming print exchange, some paper for my daughters, and the 6 sheets pictured here that I'm going to print on as soon as I figure out what to print. In addition to having great fun, this is building up to something. 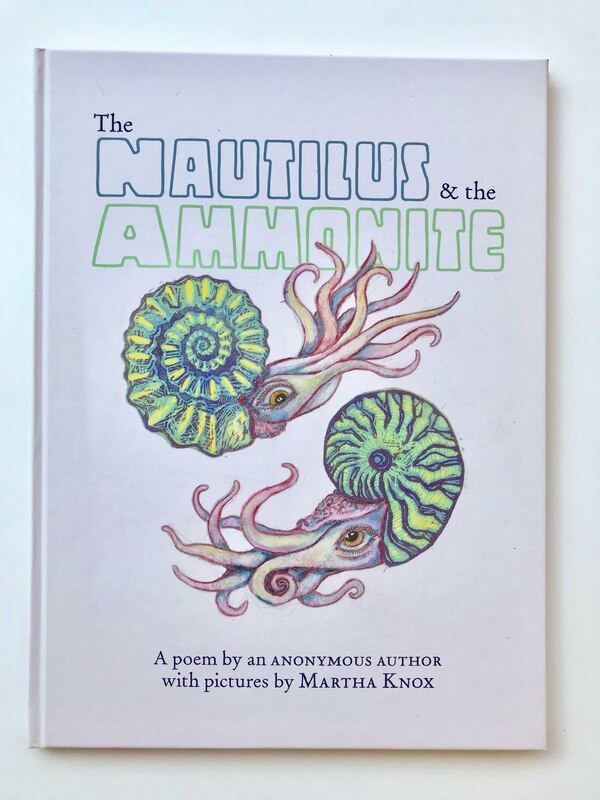 Just wait 'til the spring of 2018. 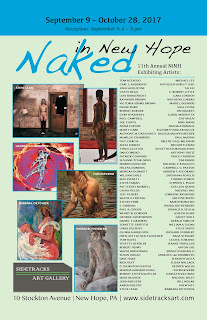 September 9 through October 28 six of my white line woodcuts of nudes (including three from the Naked Selfies series) will be exhibited at Sidetracks Gallery in the group exhibition Naked in New Hope. This will be the 11th year of an annual special exhibition, and my 4th year as a participating artist. The opening reception is September 9 from 6-9PM, always well-attended, and lots of diverse work from mostly local artists will be featured. I encourage anyone who can to attend! 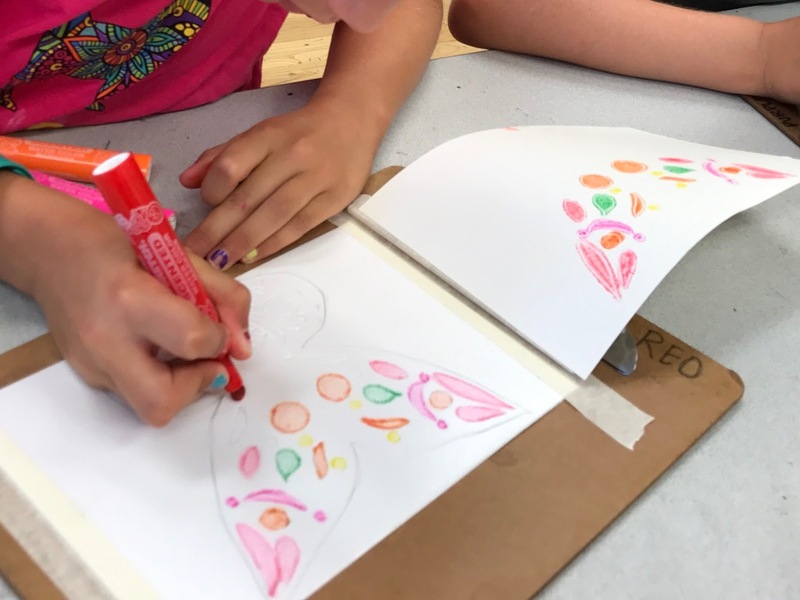 This week was my last week teaching Summer Spree at the Community Arts Center. It was only a week-long session and I wanted the kids to do both some 2D and 3D art, so we took the white line prints they made earlier in the week, painted the back with watercolors (using salt and alcohol to add texture), cut them out, and attached bodies made of craft stems and beads. 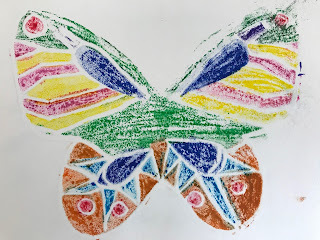 The kids also made magazine paper mache stands for their butterflies to perch on. As always, this camp is a blast to teach. As I said to my co-workers at the end of the last day, I'm already looking forward to next year. 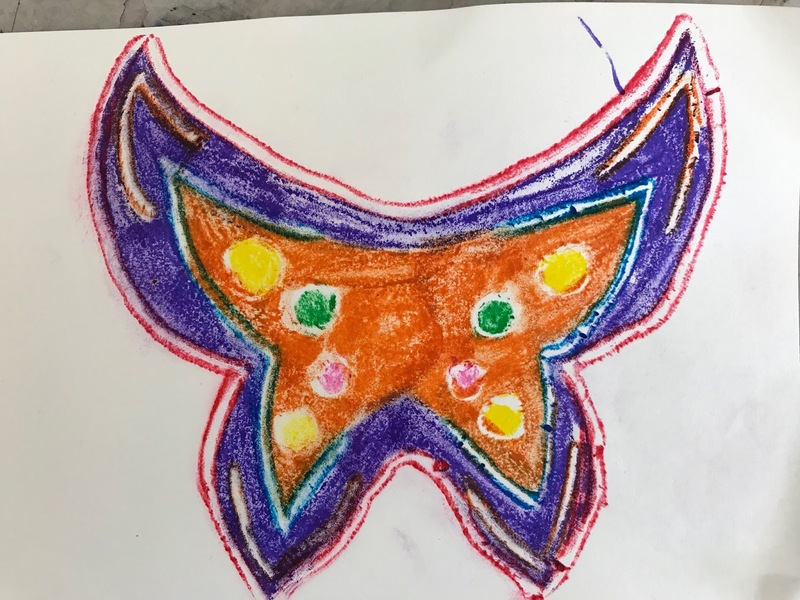 This last photo is of the butterflies made by myself and my assistant. 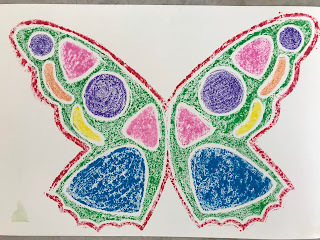 This week in Summer Spree camp I had my 4th graders make a version of white line relief prints of butterfly wings (this summer's theme is "Metamorphosis") by drawing into foam boards (we used Scratch Art Scratch Foam sheets, but one could also use styrofoam sheets/plates if on a tight budget) and then printing the shapes of color in between the lines with markers. For a registration board we simply taped the sheets and paper to clipboards (as can be seen in the second photograph here.) Stay tuned - later this week we're going to turn these into parts of scuptures! 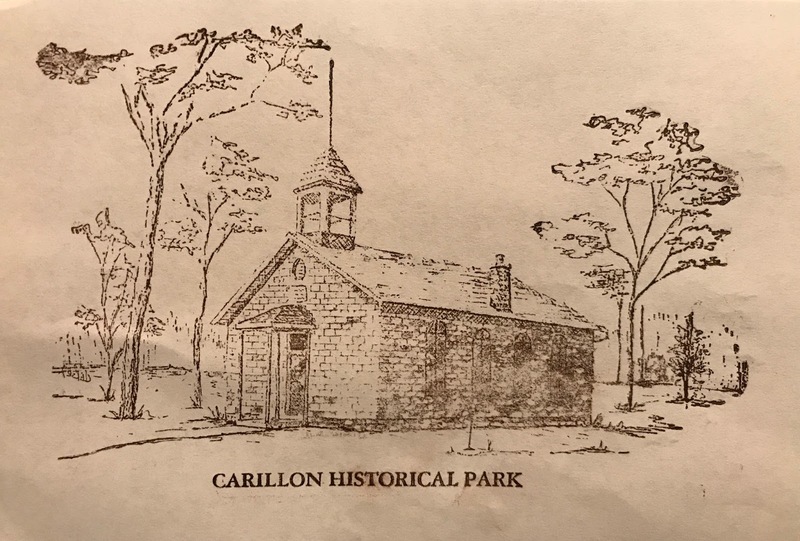 Spending some time with family in Ohio this summer I had the pleasure to visit the Carillon Historical Park's Print Shop. The shop, furnished with 1930's printing equipment, including a press once owned by one of the Wright Brothers, serves as both a museum and functional press, continuing to produce cards, stationary, and notepads. 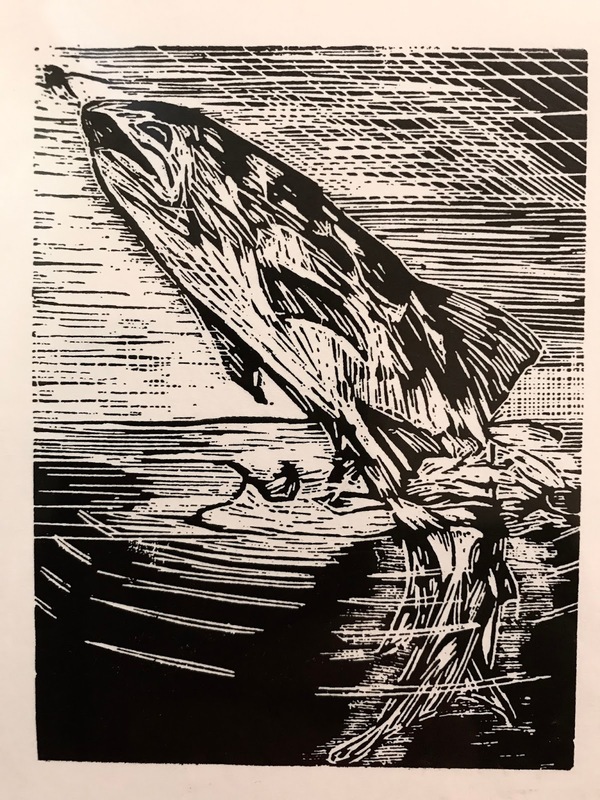 I was thrilled to purchase a couple sets of notecards, including this 4" x 3" wood engraving of a fish by designer/printmaker Thomas Schorgl, and printed by master printer Robert Smith. Our tour guide produced the below small print of the park's schoolhouse for my daughter and niece to keep as souvenirs. 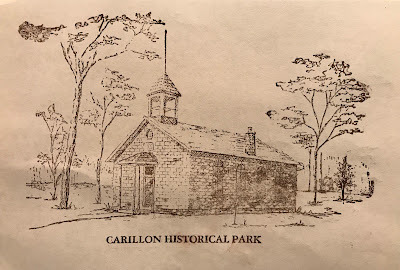 The Park is an amazing place, which has only in recent years been renovated and transformed into a top notch museum that showcases the peak of Dayton as a center of innovation and entrepreneurship. The highlight of the Park is of course the original 1905 Wright Flyer III. 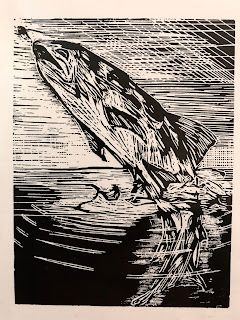 But any printmakers and printmaking enthusiasts would also deeply appreciate the Print Shop. Last week I had my Summer Spree campers create linoleum prints inspired by our visits to the local frog pond. 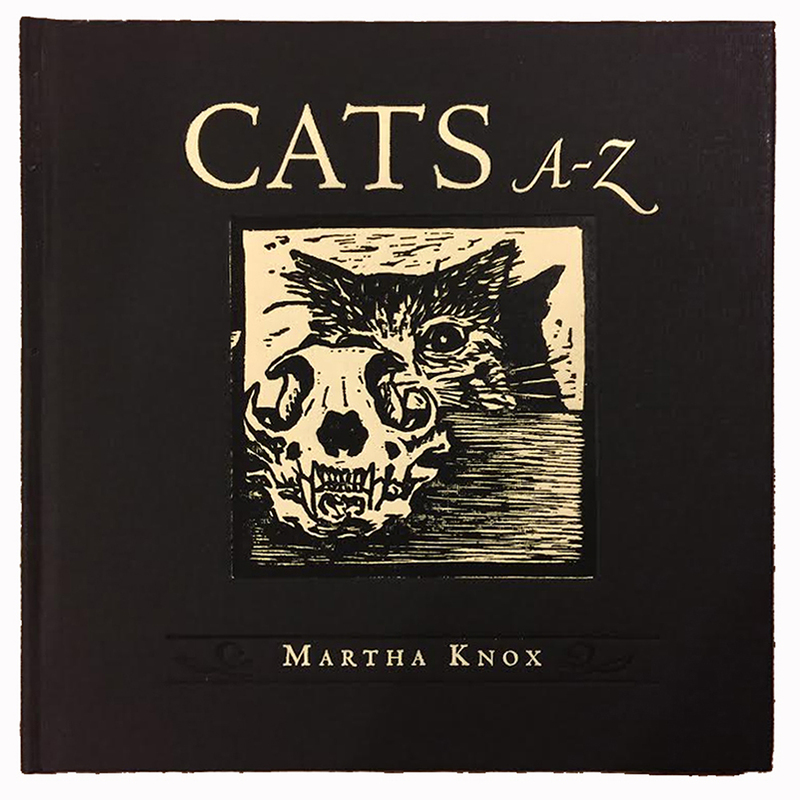 They drew in sketchbooks, then made drawings in pencil on linoleum blocks. 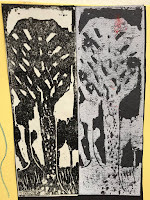 I showed them how to use carving tools (none had made a linocut before.) 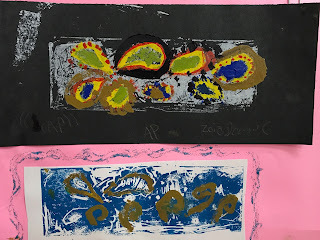 A few minor cuts and bandaids later they learned how to proof their prints in black or blue ink on white paper and white ink on black paper. 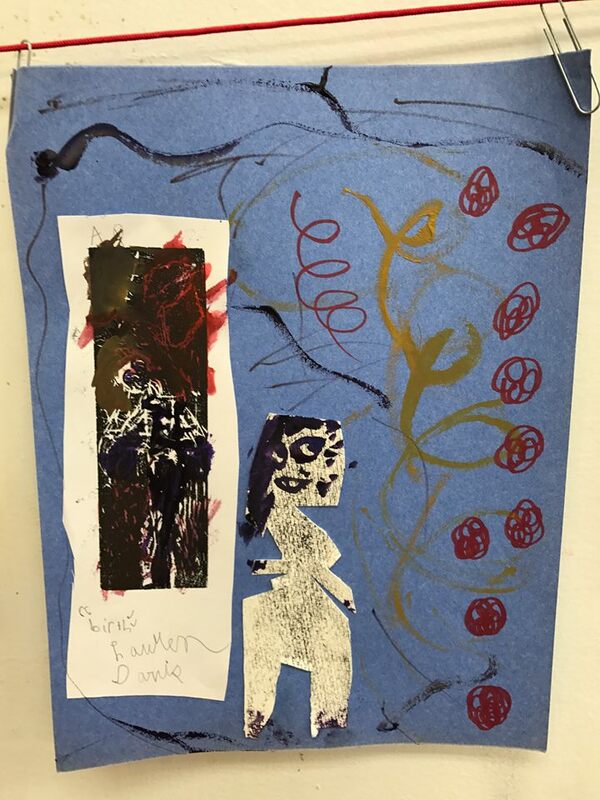 From there the kids were encouraged to create final products for our end of session exhibition however they wanted. 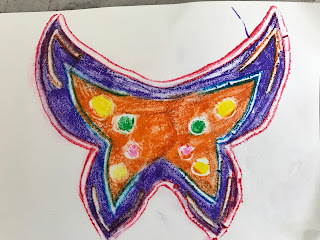 They could hand color with markers, colored pencils, watercolor paints, or collage. As a result of being given so much freedom toward the end of this project, the variation in their final products is striking and really reflects each of their personal interests and personalities. My favorite was Minori's. 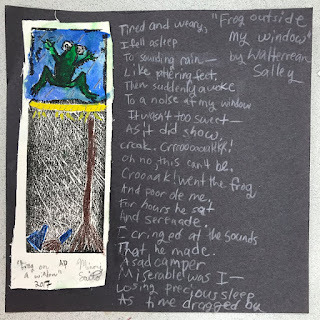 She's a bit of a dark, serious kid at times, and after hand-coloring her print she wanted to add a poem "about a frog and a window." 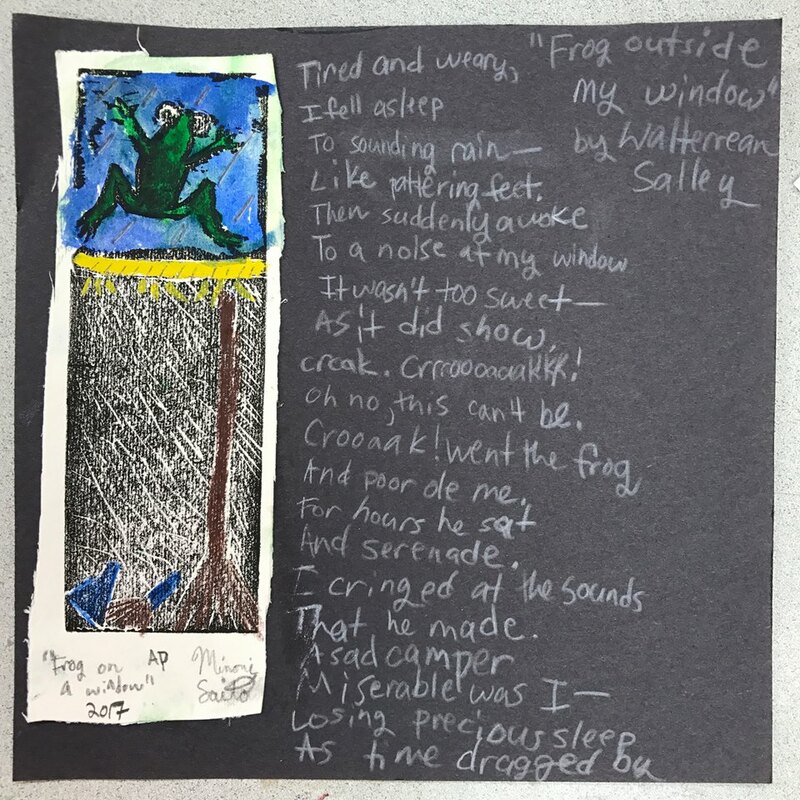 So we did a Google search and she found the perfect poem to compliment her image and set the dark mood she wanted: Frog Outside My Window by Walterrean Salley. 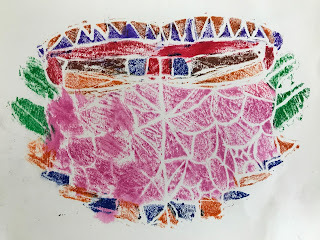 Amelia spent a lot of time carving and removed most of the surface linoleum from her block, so I had her print in oil-based black ink and then we masked a border and she add colors with watercolor paint for the neatly finished image of a birdfeeder. 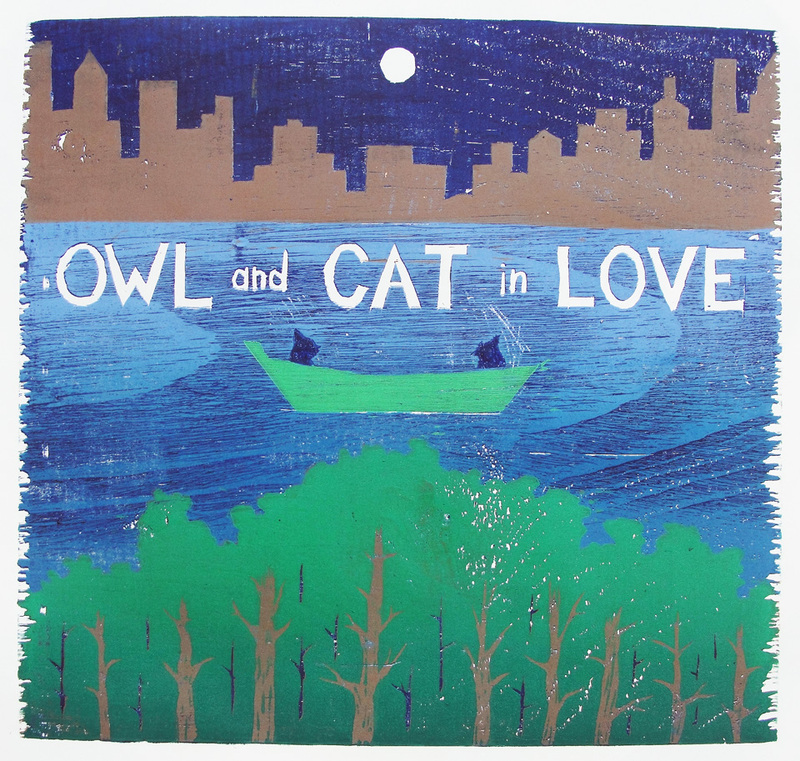 Lauren got rather creative; first she hand-colored and glued one of her prints to a blue piece of paper. Then she drew on and cut one of her other prints to turn it into a figure, and added it and more drawing to the overall work of art. 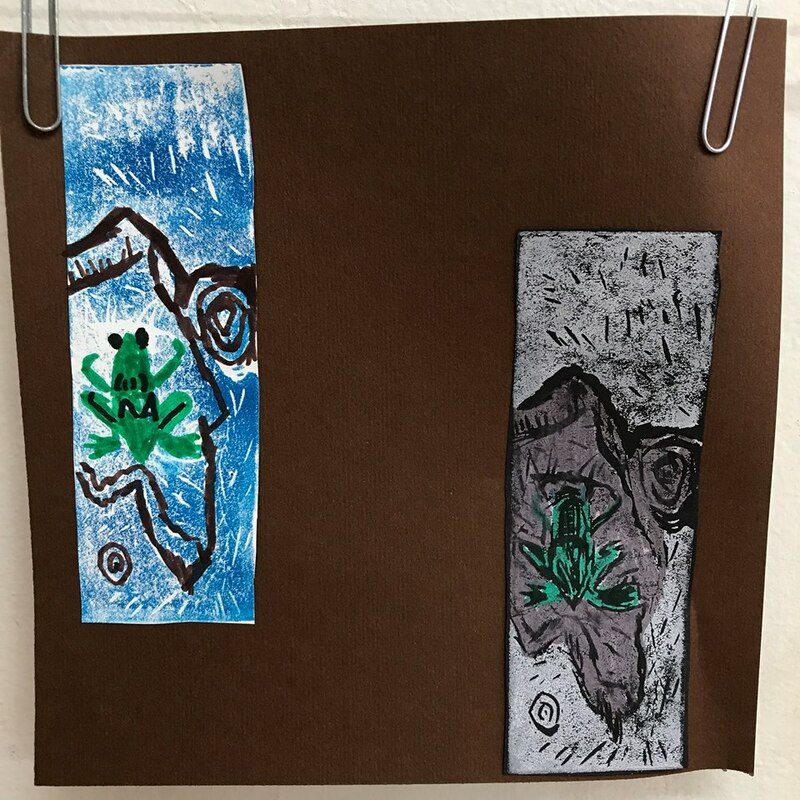 Both Selwa and Leah turned their prints into diptychs; Selwa had made a symmetrical image with the frog in the center and the pond below, so a second, ghost image of the print was placed underneath to make a reflection. 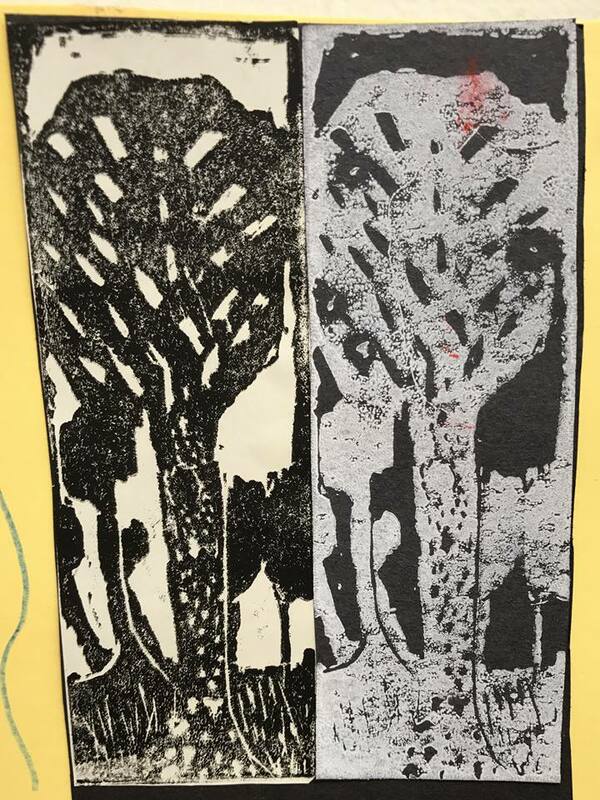 Leah made an image of a tree and printed one black on white paper, and one white on black paper. Ben also created two versions of his print, both hand-colored, and glued them to the same piece of paper. 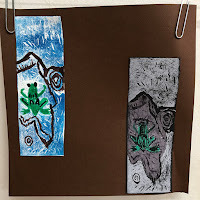 And Nate hand-colored his bug-eyed frog print and then added pieces of green polka dot fabric to the space around the image. 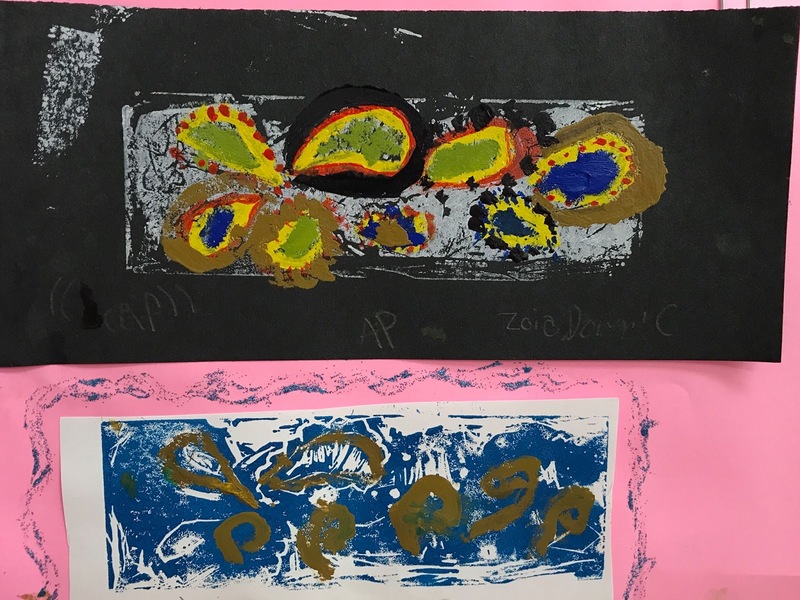 And finally, Zoia and Sophia both added bold color with opaque acrylic paint to their prints to totally transform the image, using the linocut image as a starting point. 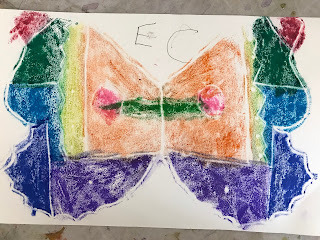 I love children's artwork. Looking forward to Session 6 of Summer Spree camp this year. I think I'm going to have the kids make a version of white line relief print with markers and Scratch Art Scratch Foam. Baren Forum Exchange #73: "Bathroom Dinos"
I just finished mailing my prints for Baren Forum Exchange #73. Paper size was 10" x 15", but there was no technique challenge or theme, so I decided to have a little fun and turned one of my dino drawings of my kids' plastic dinosaur toys into a four-color reduction print. These two in particular are "Bluey Neck" and "T-Rex", often used as tub toys.